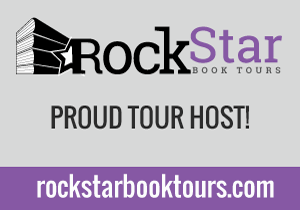 Rockstar Book Tours is committed to promoting the books we love through Book Tours, Cover and Trailer Reveals and Scavenger Hunt Giveaway Tours. We focus on books in these genres: YA (all genres), Middle Grade, Picture Books, Adult Books specializing in PNR/UF, Sci-Fi, Reverse Harem, Contemporary, Historical, & New Adult (all genres). We do not work with non-fiction books. We’ve hosted many authors including some New York Times Bestselling Authors and USA Today Bestselling Authors! Here is just a few authors we have hosted tours for! Claudia Gray, Richelle Mead, Melissa Marr, Holly Black, A.G. Howard, Maria V. Snyder, Robin La Fevers, Claire Legrand, Wendy Higgins, Susan Dennard, Rae Carson, Wendy Higgins, Lesley Livingston, Sherry Thomas, Mindy MgGinnis, Virginia Boecker, Sabba Tahir, Renée Ahdieh, Sarah J. Maas, Martina Boone, Page Morgan, Melissa Grey and more! We work with all of the Big 5 publishing houses and smaller publishers! If you’d like to see all of our upcoming tours you can look here. We are a one-stop shop. From start to finish we will organize everything. Author participation is limited to writing guest posts, answering interview questions, and, if needed, providing review copies, swag, or books for giveaway. That’s it! The rest is up to us. We will reach out to no less than 20 bloggers to participate in cover and trailer reveals. You give us the details and we will get the word out. If you have a minimum or maximum number of blogs you want participating on the reveal or other blog-size requirements we will make every attempt to meet those goals. We will reach out to a small number of genre-appropriate blogs that will bring maximum exposure to your scavenger hunt with the aim of having no more than 20 participating blogs. While scavenger hunts can be great ways of enticing readers to learn more about a book, having too many stops can result in confusion rather than promotion so we’d prefer to keep them on the smaller side. Tour dates. All tour stops will be scheduled Monday through Friday and will have one (or two if requested by the author) stops per day unless otherwise requested. Once the dates for the tour have been set they cannot be changed without extenuating circumstances such as release date change, author unavailability, etc. Any last minute changes to tour dates may result in a tour’s cancellation if all participating blogs do not agree to the change. Tour length. 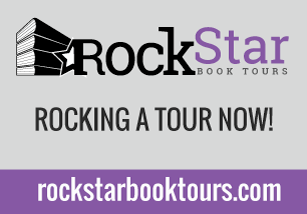 Rockstar Book Tours will arrange two-week tours, but are willing to consider tours of other lengths. Two-week tours will have no fewer than 10 stops and no more than 20. The length of a tour cannot be changed without extenuating circumstances such as release date changes, etc. However, if a few additional days/stops needed to be added to a tour to accommodate overwhelming interest, we may be willing to extend the tour. Tour hosts. We will work to ensure the best match possible between your book and the participating tour host. If you have a specific blog or blogger that is not among our list of tour hosts that you would like to be invited to participate, please let us know and we will reach out to them. While we will select the hosts for your tour, you will have the right to review the schedule prior to our announcement and be given the opportunity to make changes, within reason. Tour posts. Our tours will feature a mix of guest posts, “top ten” lists, author or character interviews, excerpts and reviews. While we can’t guarantee that your book is to everyone’s taste, we will make every effort in advance to find the right readers for your book. If one of the participating tour host reviews is negative or lower than 4 stars we ask that they refrain from posting their reviews until after the tour and will offer them a promotional post instead. Giveaways. Giveaways are not required but they are recommended. Individual giveaways can be hosted on each tour stop, a group giveaway can be hosted across all tour stops or it can consist of some combination of both. Not every tour stop needs to host a giveaway. Notice. Ideally we would like to have two to three months advance notice of a tour. This will allow us time to select the bloggers, provide them with review copies and give the author time to write the guest posts and answer the interview questions. If that amount of lead time is not possible, we may still be willing to put together a tour. We will decide on a case-by-case basis depending on such factors as tour length, post type, number of stops, etc. Advertising and Promotion. All tours will be advertised here and on Fiktshun and Two Chicks on Books. Our promotional efforts will begin prior to and will continue throughout the tour with a combination of posts on our blogs and our blogs’ Facebook pages and through other social media outlets such as Twitter and Tumblr. Our goal is to put you and your book in the spotlight and provide maximum exposure so that audiences old and new will have your book on their radar. Whether your book is soon-to-be-released, newly released or is on shelves now, we want to generate buzz. While tours can be stressful and time-consuming, we want to make it less so for you. Let us handle the organizing, planning, scheduling and promoting and let our expertise help make your tour a successful one. You reach out to us with your tour request - Book Tour, Cover or Trailer Reveal, Scavenger Hunt Giveaway. Once we’ve accepted your request we determine tour type, tour length and tour dates. We design a banner and button and create a post announcing the tour. 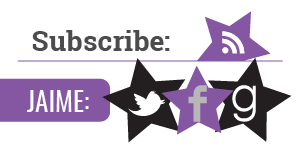 We reach out to our blogger tour hosts, or special request bloggers, via eVite or email and invite others to sign up through Twitter and on our Tour Host page. We promote the tour on the blog tour sidebar and on Two Chicks on Books and Fiktshun, on Twitter, Facebook and Tumblr. We select the bloggers and post types and finalize the schedule and pass it along to you for your approval. Barring any changes, all that’s left is for you to write the posts, answer the questions and send out the review copies. We will make sure everything else runs according to plan. Once the tour has ended, we will forward along any giveaway prize winners. And, upon request, we will send you direct links to each of the stops on the tour. Blogs. Fiktshun and Two Chicks on Books have a combined total (average) of 30,000 visitors per month. Twitter. We have a combined follow count of approximately 12,600. Facebook. We have combined “likes” of approximately 4,234. Instagram. We have a combined follow count of approximately 1,000. Please consider my book for your late summer tour schedule. I would love to do my first book tour with your staff! You look like you really know what you are doing and seem to do it with the passion of the story being told, not just money or your own fame. Please check me out and consider me for one of your book tours with my new release, "Secrets of the Velvet Closet" by Lena Rai. You can find me at http://lenarai.wordpress.com to get to know me and any further questions or information can be forwarded to maginkwa@gmail.com. I would love to see your response soon! Hi, I'm interested in booking a blog tour and giveaway with Rockstar Book Tours for my book, BOOK ONE: THE GIRL, the first book in the paranormal trilogy I'm developing called The Sanctum. I can be reached at mblaylock4@gmail.com and hope to hear from you soon. Hi there, I love your site! I'm a new author and would love for a chance for you to know and hopefully love me. My first novel: Rising Tide: Dark Innocence is up for sale on Amazon.com. I would love to be able to do a book tour with you, to celebrate its release. I can be reached at claudette.melanson@me.com if you would like to know more. Thank you and I look forward to more book tour news on your site! Your services look wonderful! I've published a middle school fiction bully prevention book with Book Baby. (Most of my other books are traditionally published and this is my first venture into self-publishing.) I'm taking the first steps to book a blog tour with a paying company. But I'd also like to go with your company as it looks very professional. Would that be okay? Would you still be willing to consider my book? Please let me know when you have time. Thanks very much and good luck with the great work you do! I forgot to give you an address where you can reach me. It's drcatto@aol.com and my website is www.catherinedepino.com. Please write to me at my drcatto address. Thanks! I am looking for setting up a book tour to promote my book War Kids, a YA novel about the Syrian War through the eyes of children, please check out my website for more information. www.hjlawson.com. Hi, My name is Daniel (Bellino-Zwicke) .. I'm the author of; Sunday Sauce, La Tavola, The Feast of The 7 Fish, and Got Any Kahlua? I'm interested in doing a Blog Tour and Giveaways with Rockstar Book Tours for my book Sunday Sauce - When Italian Americans Cook. I notice you have mostly (if not all) fiction books. My book Sunday Sauce is not just Recipes, but is also filled with many interesting and entertaining stories of Italian-America; The People, Food, and Places, which include; kitchens, restaurants, caffes, Pork Stores, and pastry shops. Sunday Sauce recently was # 1 on Amazon Best Sellers Italian Cookbooks. I look forward to hearing from you, and hope we can work together in some way. Hi. I have self published four YA books from a series of ten. I am going to be perfectly blunt with you - the books are very good but they are a little different from the normal YA fare. They are good tales with a literary bent, looking beyond the superficial. In many ways they are a cross between Planet of the Apes and The Hunger Games...so as you can see they are quite unique. The reviews of the few people who have read them are exceptionally good but the linger in obscurity on Amazon. To be perfectly honest, I need your help! Four Brothers live their lives in an enclosed habitat as directed by the silent Rubberman above them. When they disobey, they get shocked. This is normal. It always has been. I STINK at marketing, and aside from having a website, an FB page, and neglected blog, I've never reached out a ton. I figured it was about time to try this touring stuff for Rubberman. Let me know, it'd be much appreciated. Please let me know if you'd like more information (ashori@typewriterlabs.com). I want to join your list of bloggers to promote talent. Thank you for providing your book tour package to Indie authors! We would love to be part of it. Our book, INTO THE OUTSIDE, was released in July 2015 and has a 5 star rating on Amazon. We would love to get better distribution of the book and more Amazon reviews. Please take a look at the book and it's reviews and let us know if you can fit us into your schedule. 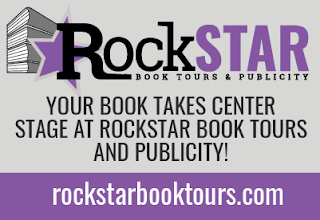 Good afternoon, are you still considering books for Rock Star Book Tours? I recently released my novel, The Empty Room, a mystery/suspense novel featuring a young couple in upstate Maine and I would love to be considered for a tour spot. I'd like to sign up for a blog tour for my YA novel Orianna's Choice. Award-winning YA author, requesting a blog tour for my MG novel, Saving Bone. Writer's Digest said (about an earlier edition) "The author's strength is in her teen voice and character building." Reach me at shelleystoehr@gmail.com. My website is www.shelleystoehr.com. Very interested in having one or several of my urban fiction novels featured during one of your virtual book tours!! Please contact me as soon as you can! Also, I'd be happy to do some signed book giveaways. Finally getting around to book tours. Your site highly recommended and looks great. Interested in a book tour and Giveaway of the first book in the Nicolina Fabiani series, The Magdalene Conspiracy, can be found here: http://amzn.to/2DHxf3y. Mystery/Thrillers for readers of Dan Brown, Steve Berry, Gayle Lynds. happy to do guest posts, q&a's, audio or visual readings! Please consider my novel "Settling Darkness", which released on September 14, 2018. This sci-fi dystopian novel is the second in a trilogy. Ana Crucinal and Nelson Forrester find themselves even deeper in the fight than they could've ever imagined. The Action, now joined up with Lebabolis again as the Coalition, faces down the mysterious Omegans, an alien race that seems only bent on raiding Earth for one of her last remaining resources. Ana is being tormented by strange telepathic messages, and Nelson feels ever pulled toward Cataclysm, the weapon that could finally turn the tide of the fight. But others have their sights on Cataclysm too, and the race is on to get the upper hand and retake control. Will the Coalition get what they need to stop the Omegans? Will Ana learn just who this strange voice is, and just how important she is to restoring order in the world?